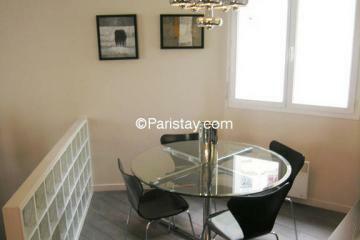 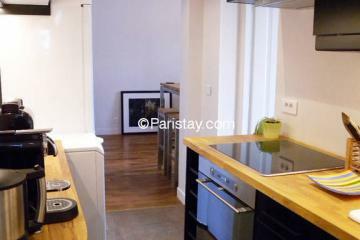 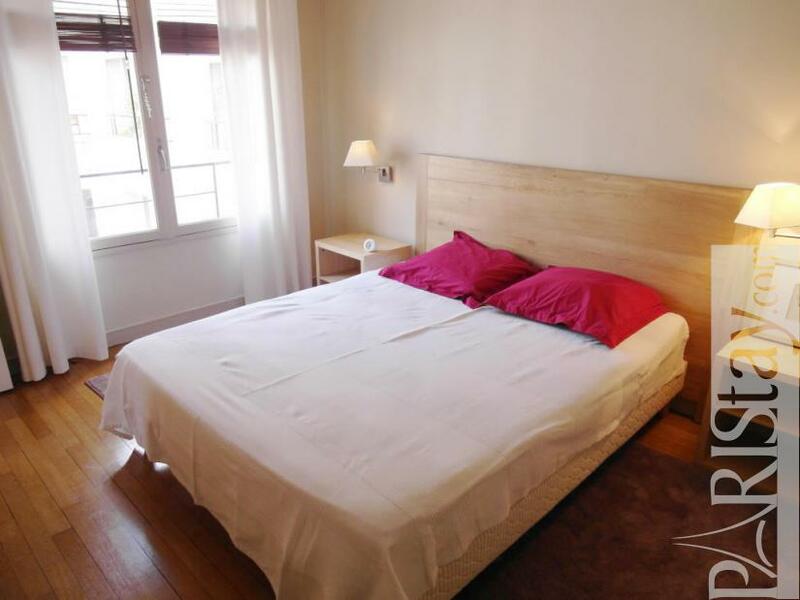 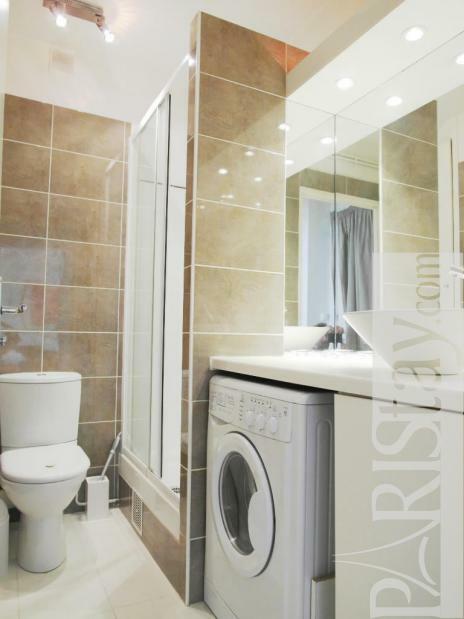 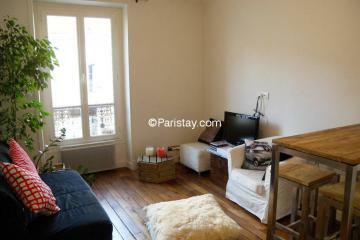 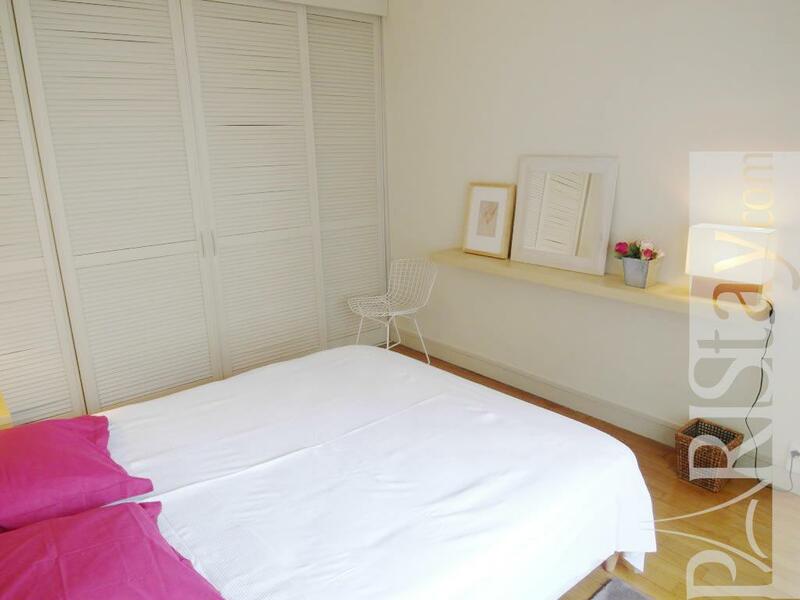 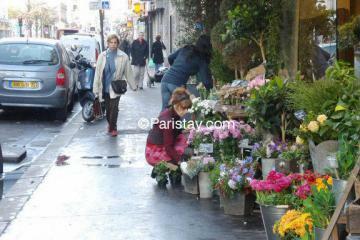 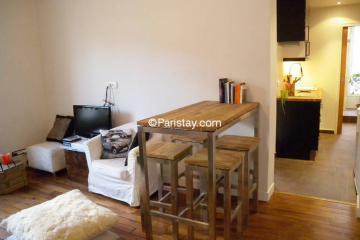 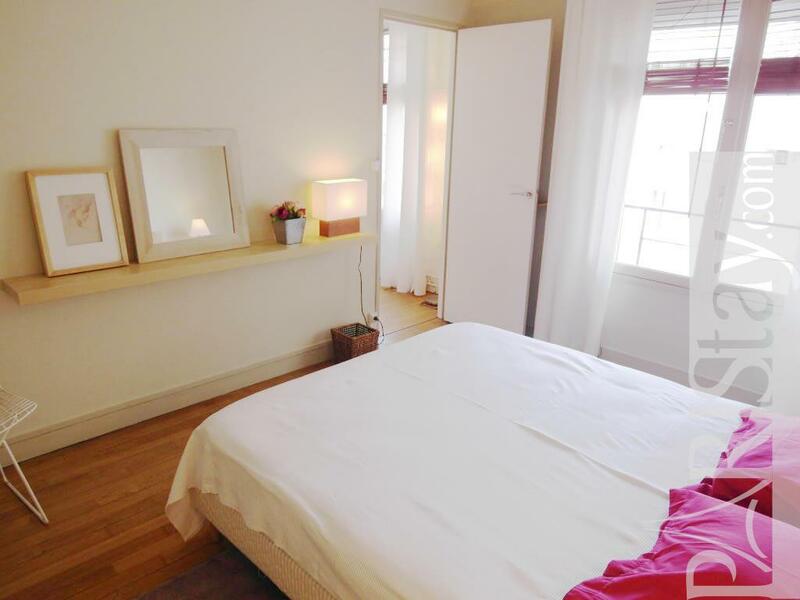 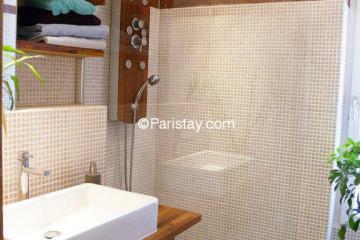 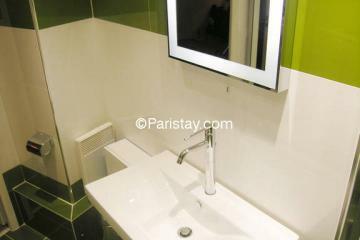 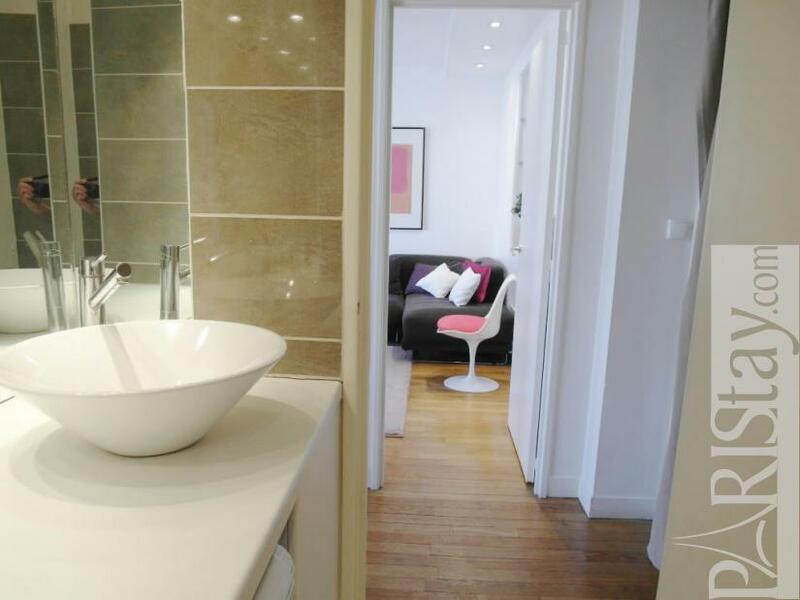 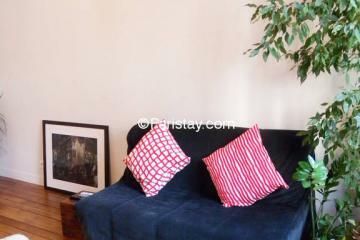 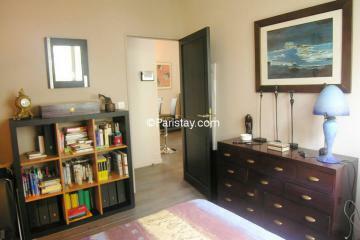 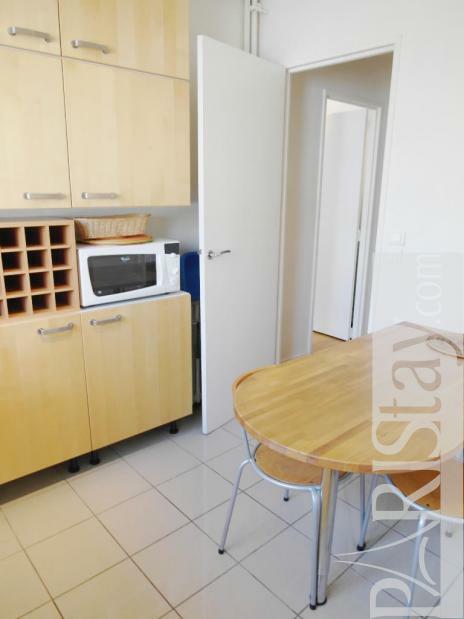 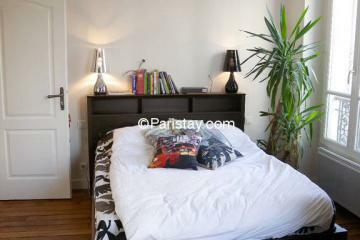 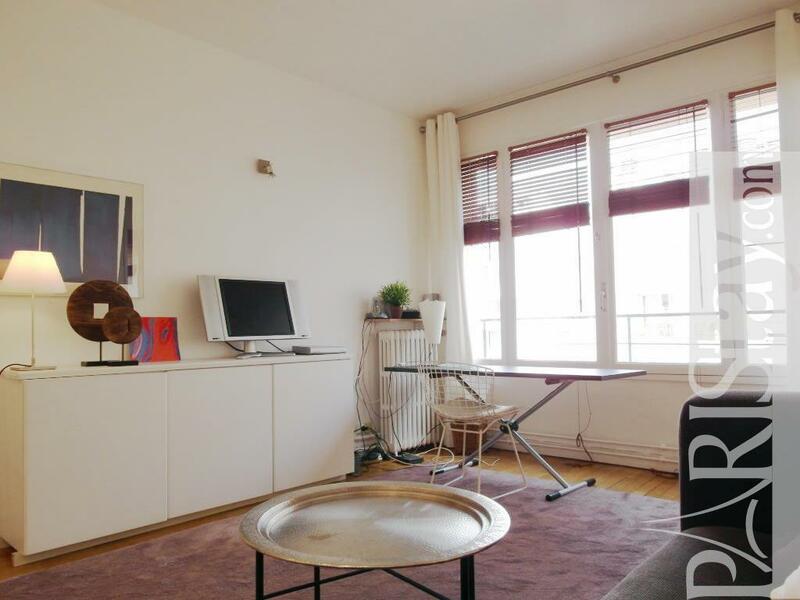 This one bedroom Paris apartment with a view on quiet courtyard right in the heart of the trendy Bastille area. 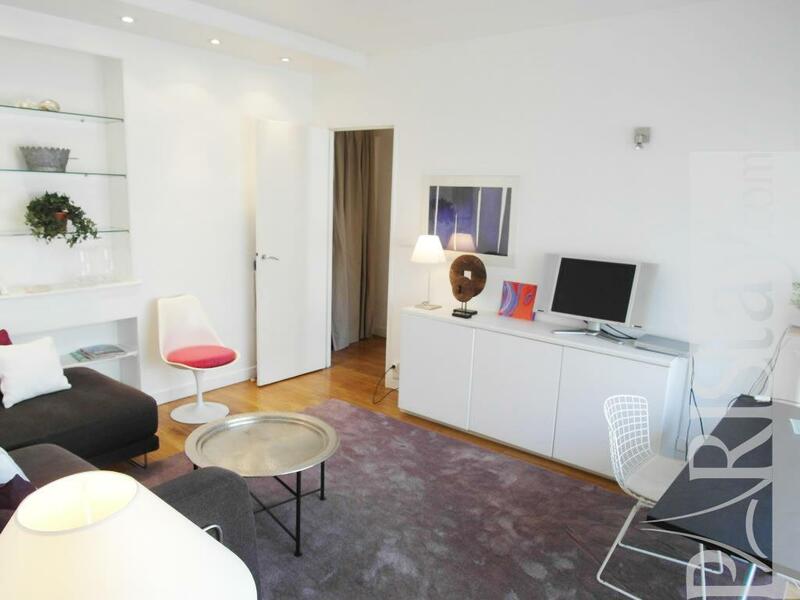 Situated on the 5th floor with elevator in a modern building. 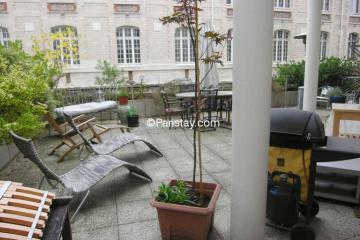 There is a large living area that overview a quiet coutyard filled with plants below. 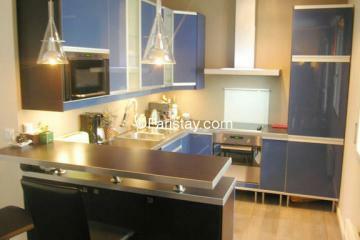 Well equipped kitchen area. 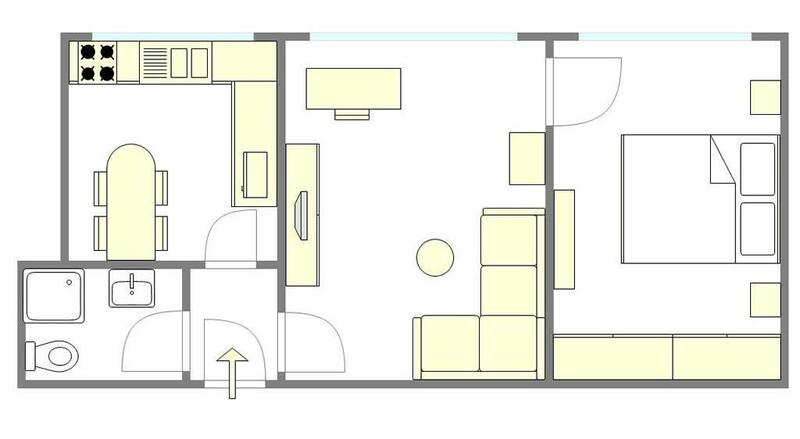 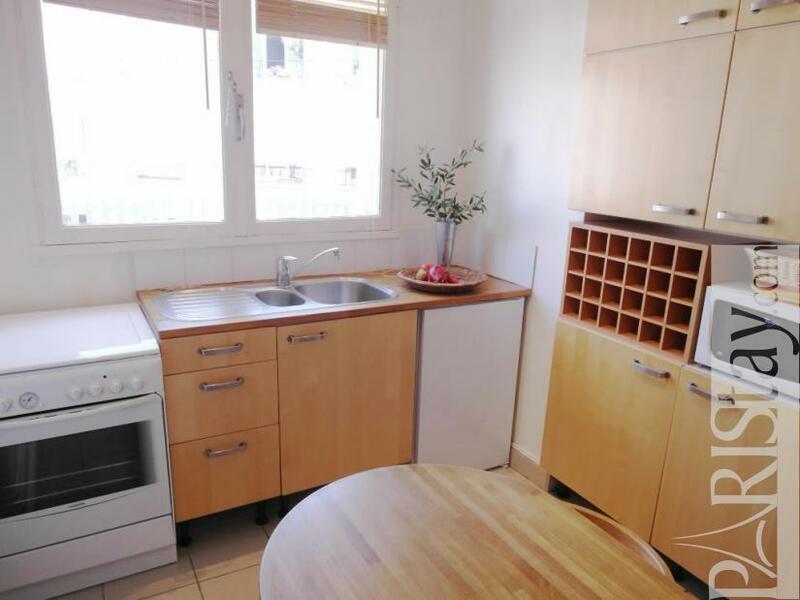 Lots of cupboard space and storage. The bedroom is very quiet and comfortable. 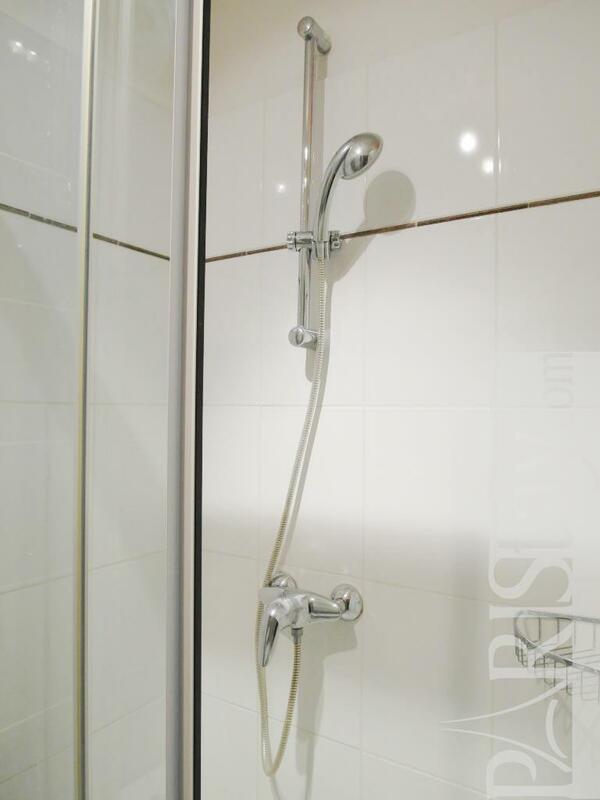 There is a bright shower room. Perfect for a couple. 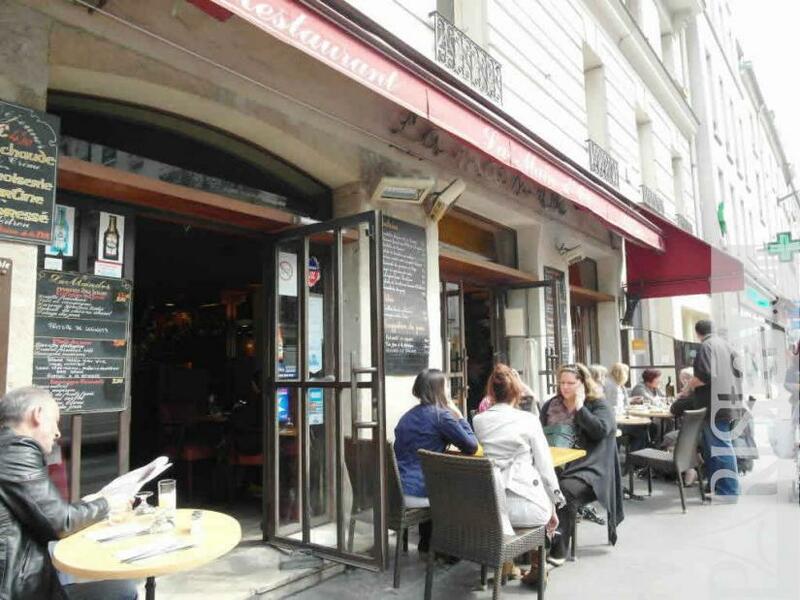 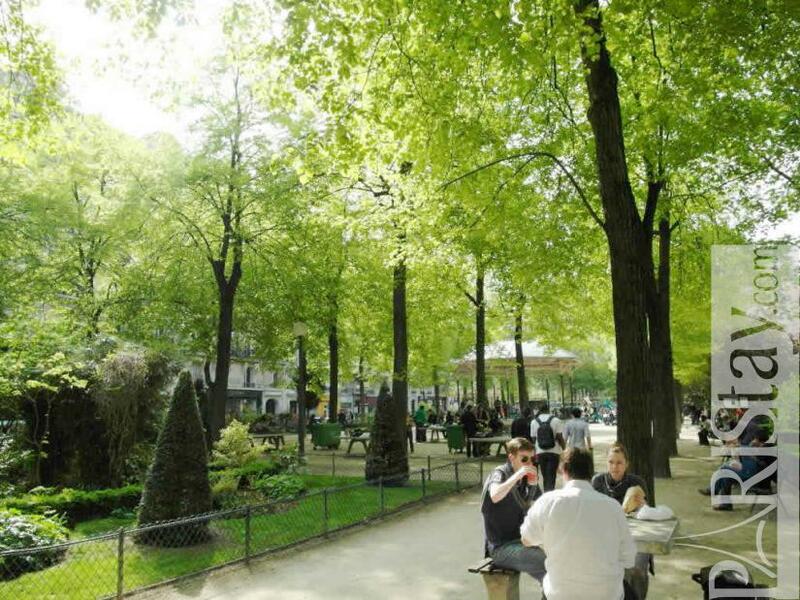 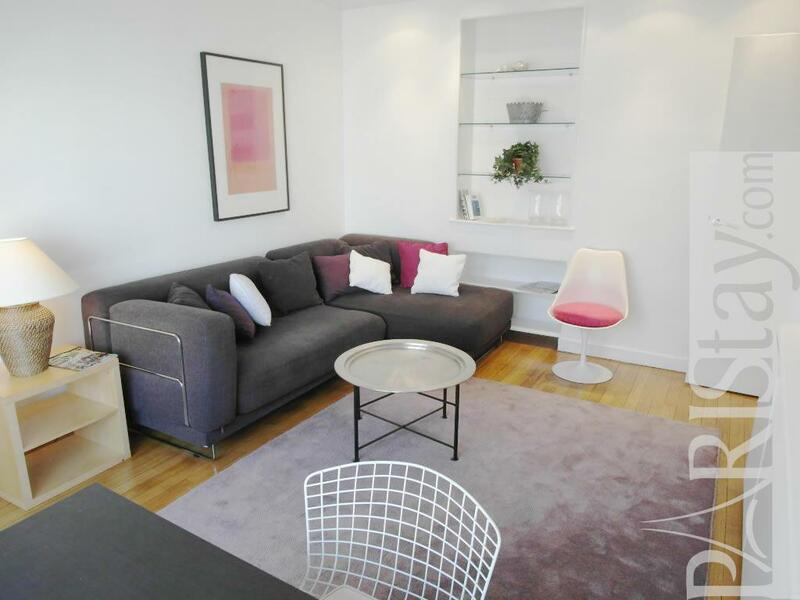 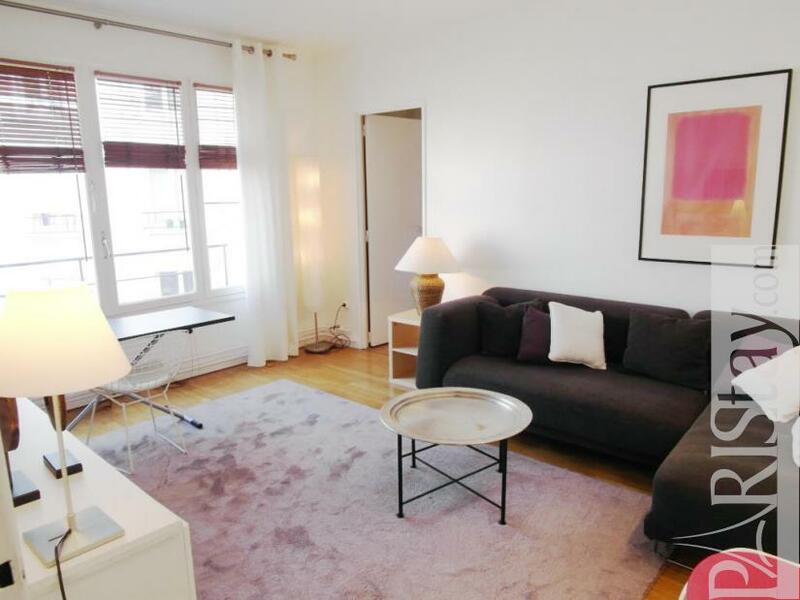 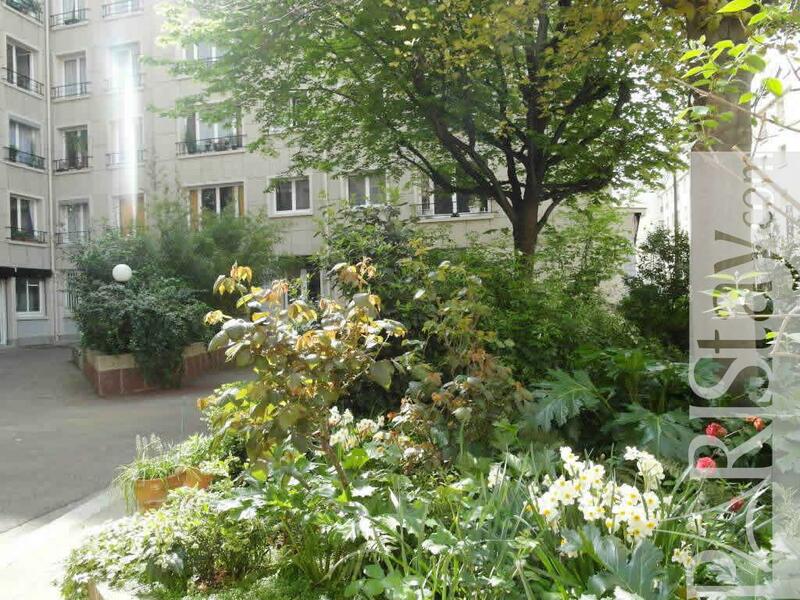 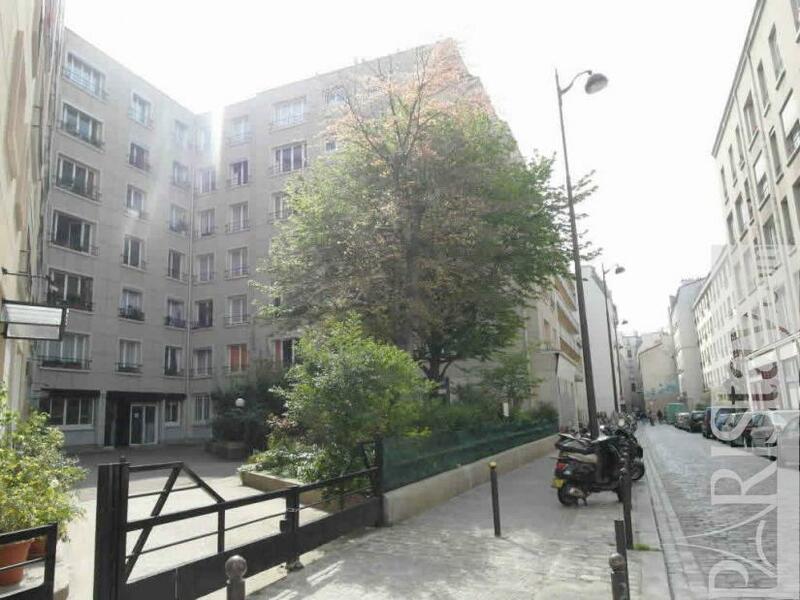 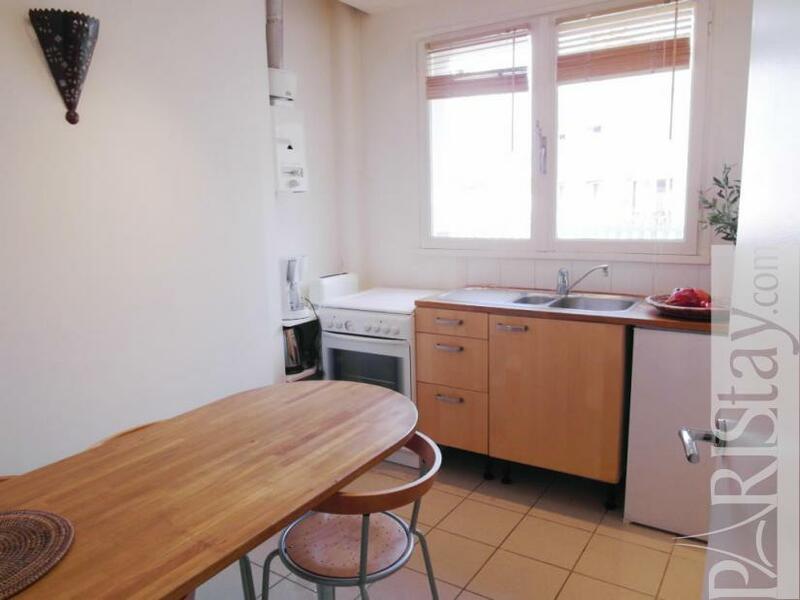 Ideal for a long term Paris renting, near the Metro Bastille or Ledru Rollin, easy walk to Place de la Bastille, open air markets, supermarkets, Marais, Place des Vosges, the Seine…A parking spot, at additional cost, is available closeby. 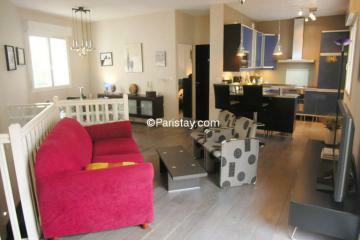 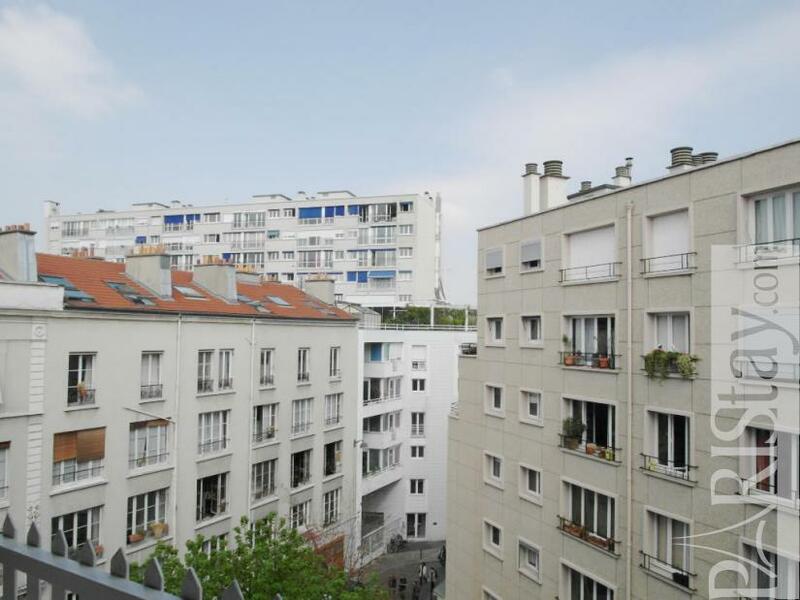 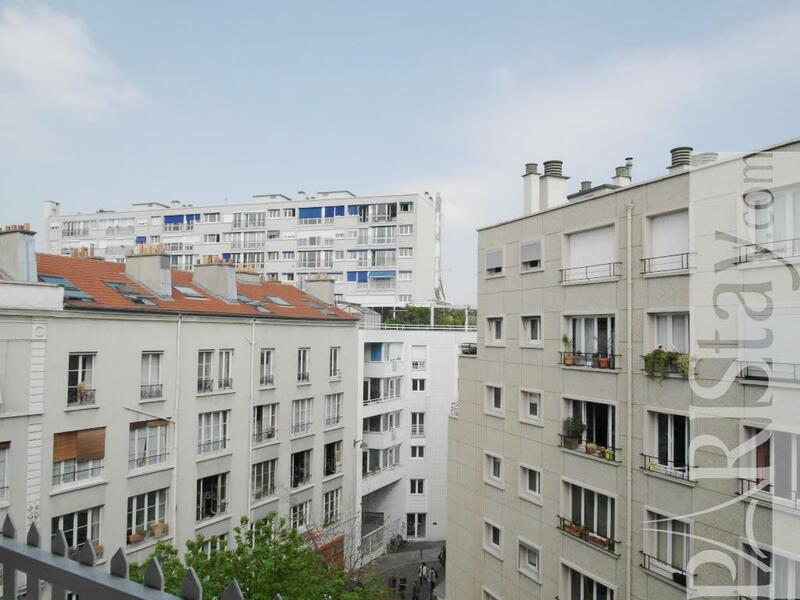 1960's Building, 5 rd floor, with Lift, entry code security system, 1 bedroom Appartement, furnished, Approx: 42m² / 452 Sq.Ft.